At last, the new sprinkler system in operation. of the members Clive Brain on the M Shed Museum at Bristol Docks, plus the Pyronaut fire boat that Clive skippers. There were many old pictures that prompted memories of the dockside as it was many years ago together with information about the other boats moored in the docks. We all then enjoyed a Ploughman’s supper prepared by the Social Committee, which was then followed by a little seen film of the cavalcade of boats that sailed under the bridges of the Thames as part of the Queens Diamond Jubilee. Clive explained how the Pyronaut nearly did not make it, as it had to be transported by trailer along the M 4 and due to weight problems flat tyres became an issue. Alternative arrangements were made and the boat took its place with many hundreds of others to sail past the Queen. In February the annual Curry Evening took place and 60 members were well fed on beef curry, naan bread, poppadums and mango chutney followed by fresh fruit salad and ice cream. Cottage pie was available for those preferring the more traditional cuisine. A great evening was had with the curry just being hot enough to encourage good bar sales! 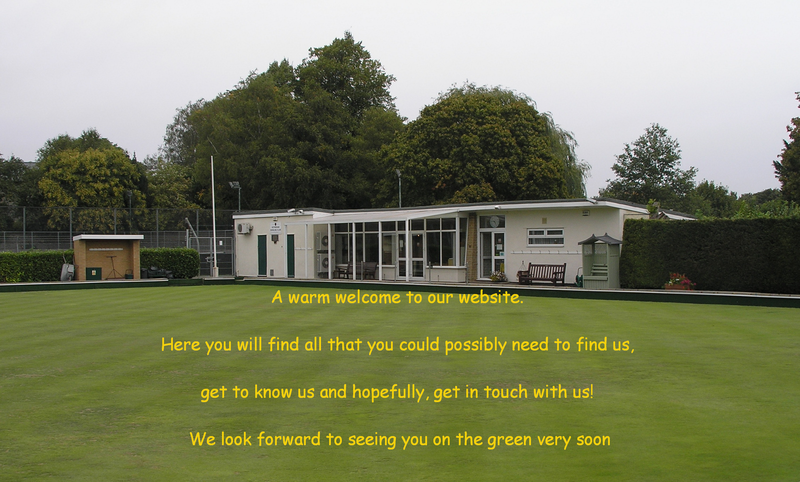 A couple of days before compiling this, Secretary David Hockney had despatched to members all of the bowling information for the new season. Summer is on its way! The usual monthly coffee morning took place at Keynsham Bowling Club but on this occasion here were many prizes “up for grabs” in the Christmas Draw. Thanks to the generosity of those who donated prizes this raised a good sum of money for club funds. The annual Christmas Party is for many the highlight of the social calendar and this year was no exception. Over 70 members gathered in the Christmas decorated clubhouse to be entertained by the singing duo, the Two of Clubs. Their rendering of “I am a cider drinker” was well received by the City supporters present, who were equally pleased that they did not include “Irene Good Night Irene”. Their choice of music was just what was needed by the members – no heavy metal or rap – and they have already been booked for Christmas 2019. The evening was rounded off with a superb Christmas turkey supper and mulled wine laid on by the Social Committee. Our picture shows the members having a good time. A number of members made the trip to Chippenham clad in festive gear to play an indoor game followed by a meal. A week later the ladies of the club gathered for their Christmas lunch at the Camerley Lodge Hotel in Temple Cloud and as usual the food was first class. We enter a new year with half of the closed season behind us and plans already in place for bowling in the new season with details of the men’s tour in September 2019 just having been announced. Whilst it is closed season on the green, the social side of Keynsham Bowls Club continues unabated! Early in November nearly 60 members enjoyed a quiz with a difference - it had a bingo theme. The Social Committee provided a first class ploughman’s supper. The next event was the Annual Presentation Lunch that took place at Knowle Golf Club – a great venue and good food enjoyed by nearly 70 members. After the meal came the presentation of the trophies. At the start of the season 89 members entered competitions in 19 different events which produced a total of 461 separate entries – statistics by courtesy of our Competitions secretary Martin Moore. A number of members won more than one trophy but pride of place must go to Jan Iles who had to visit the trophy table on five occasions. There was one little hiccup when the trophy for the winner of the Australian Pairs went astray. It was found later under the table – a case of gone missing “down under”. The Annual General Meeting which took place in the Club House started with the 70 members present standing in silence to remember those friends that we had lost during the year. Reports were received from the various club executive members and the managers with the responsibility for the running of the various aspects of the club’s life. The club could not exist without the hard work put in by these good folk. Towards the end of the meeting the outgoing Captains left the top table and handed over responsibility to the incoming skippers Mo Dickinson and Carm Riccio. John Mead stood down as the President having held the position for 15 years and he was succeeded by Don Rees. Joan Harvey was made a Life Member for her work as the ladies Fixture Secretary, a role she held for 20 years. Our photograph shows the trophy winners at the Presentation Lunch. The season finished at Keynsham Bowls Club on the last Sunday afternoon in September when over 50 members gathered for the final roll up of the season. This was followed by a fish and chip supper in the clubhouse when nearly 80 folk enjoyed food provided by the Keynsham Fish Bar. Each year members raise money for a charity chosen at the start of the season by the ladies and gents captains. In the summer a charity BBQ was held and as is usual when the men go on their close season tour they take the pig with them. This is a large collection box which is placed at the end of the rinks during matches and players both tourist and host clubs are asked to chip in to boost the funds. The charity chosen this year was the Jessie May Trust based in Kingswood which provides hospice at home care for terminally ill children in Bristol and the surrounding area. Our picture shows the captains, Ann Newbery and Beresford Parker handing over a cheque for £1,200.00 to Helen Mackie the Community and Events Officer at Jessie May. In the background are the well fed club members! “Pam and Bob Edged Out” On the first Sunday in September, husband and wife Bob and Pam Edge played in the Ladies and Gents Championship at the clubs Finals Day at Keynsham Bowling Club. Bob lost by 19 shots to 21 in a closely fought match with Paul Harsant whilst Pam lost by 15 shots to 21 against the defending champion Marlene Tidy. Our photograph shows Marlene and Paul receiving their trophies from the Club’s Vice-President Margaret Church. As Marlene is one of the shortest ladies in the club and Paul one of the tallest men, Marlene insisted that Paul knelt to allow the photo to be taken! A further 12 trophies were contested in a day of enjoyable bowling for both players and those watching. The previous week the men had played in their final fixtures in the Thursday night Bristol & District League. The A team finished 4th in division 2, the B team 8th in division 3 and the C team 7th in division 4 which means all three teams will be competing in the same divisions next season. Unfortunately it was a different tale in the Saturday North Somerset League where the A team finished bottom of Premier 2 and were relegated to the East 1 division where they will join the B team next season, who finished in 9th position. Had the C team who played in East 2 picked up a few more points they would have been promoted and would have been in the same division next season as the A and B teams. Our ladies team playing in the North Somerset League ended the season in pole position and were declared the champions. Well done the ladies in showing the men how to bowl as well as preparing teas! 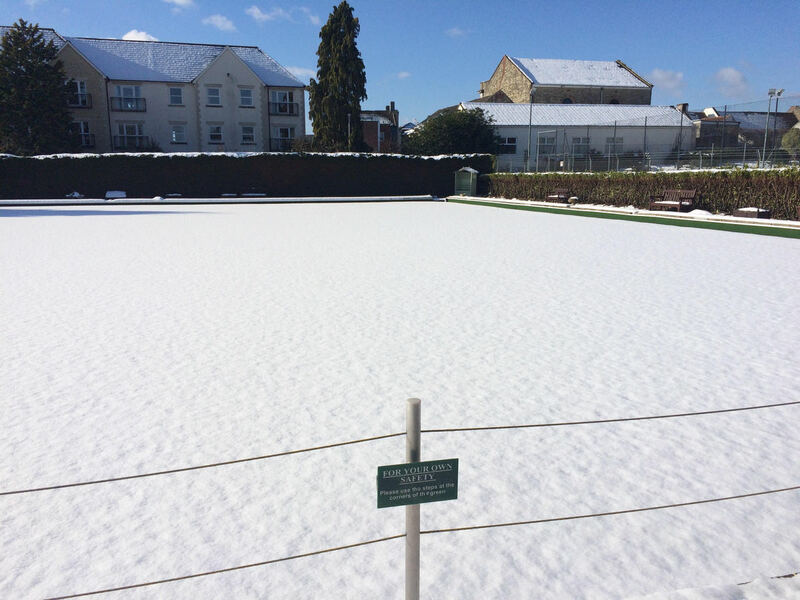 On the last Sunday in August the club was due to play host to a touring side from Crediton in Devon but unfortunately the weather wiped out any chance of playing bowls. During the month the club hosted the Somerset County Finals Day. Many clubs were represented from all parts of the County playing in finals from singles, doubles, triples and fours in men’s, ladies’ and mixed formats. At all times during the day there were at least 120 players and spectators who enjoyed some outstanding matches. Last year the club entertained a touring side from Winchmore Hill in north London and so this year a coach load set out from Keynsham to travel to London for a return game. With the travelling involved it was a long day but the bowling and the hospitality were good and the day was enjoyed by all. 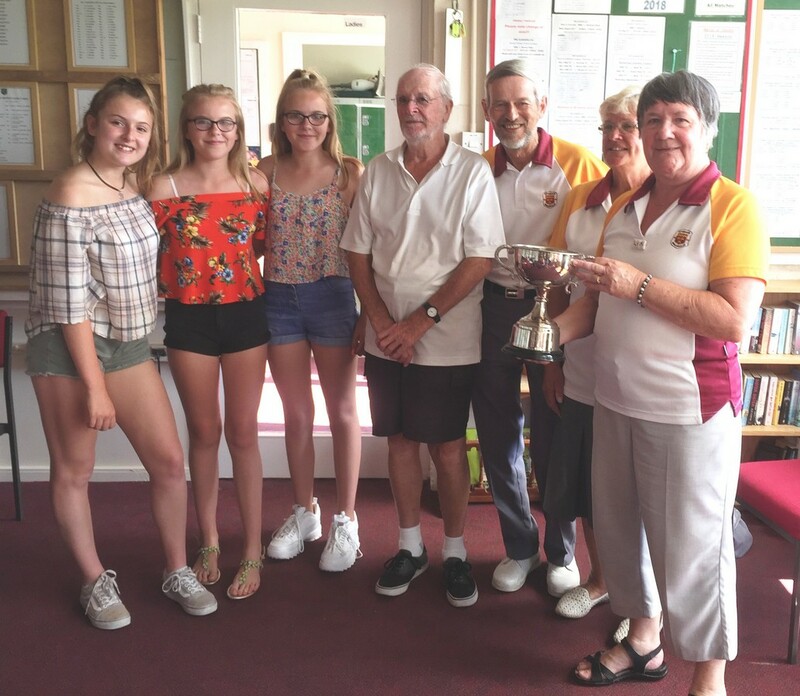 The final club competition of the season took place when ladies and gents competed for the Hazel Waldon Triples Cup in memory of a previous Vice President. After a full day of bowling the winners were Lynne Pearce, Pete Gibson and Carm Riccio. A Monday evening is the members night when anyone can turn up for a friendly roll up. Over an 18 week period points are awarded to the three highest scoring sides each week and at the end of the season the ladies champion was Lindsay Allen and the gents Mike Lambern. Another season draws to a close as members prepare to pack away their woods until next April. Some however will bowl indoors, whilst others might try their hand at skittles but for most the next six months cannot pass quickly enough. 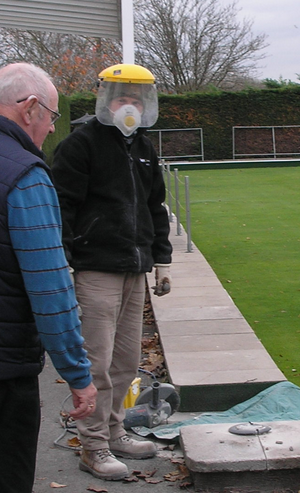 As the end of the bowling season approaches the activity on the green at Keynsham Bowling Club becomes even more intense. In addition to the league and friendly matches being played, plus the club competitions, there have been a number of “one off” fixtures. At the start of the month was the annual fixture against the local rivals from Frys playing for the Alsop Trophy which Keynsham lost by 77 shots to 66. We look forward to gaining our revenge in a year’s time! This was followed by a club competition the Tom Pells Cup, played between mixed teams of four for a trophy given in memory of Tom by his widow Lyn. The picture shows the winning team, Tony Bevan, Graham Cavill, Jan Iles and Lyn Dorey receiving the cup from Lyn’s granddaughters, Jessica, Stella and Hattie. Another Sunday was taken up with the club hosting two semi-finals, firstly the Wedmore Plate when Weston Bath comfortably beat Yatton, followed in the afternoon when Bristol closely defeated Bath in the Turnbull Cup. A fixture that club members look forward to is the match between the ladies and gents of the club and the fact that six rinks are played necessitating twenty four ladies shows the depth of club membership. Whilst the men won it would be inappropriate for me to quote the final score, but the ladies look forward to an improved performance next year. As is traditional on this occasion the gents relieved the ladies of the catering duties for the day and treated everyone to a fine tea. Towards the end of the month the club hosted the ladies county fixture between Somerset and Berkshire when the home side won five of the six rinks with the shots totalling 133 to 106. The recent change in weather has resulted in the green receiving a good watering and it promises to bowl well for the last month of the season.